The inaugural recipient of the Pearl Goldberg Fellowship was Dr. Carlos Medina.Dr. Medina, a native of Monterrey, Mexico, obtained his medical degree Tecnologico de Monterrey School of Medicine. 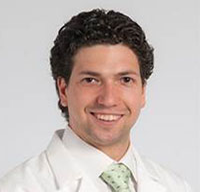 During clinical rotations, he met Dr. Victor Perez of Miami, who recruited Medina to his laboratory for ocular immunology and corneal transplantation at Bascom Palmer Eye Institute. In Dr. Perez’s laboratory, Dr. Medina worked on a mouse corneal transplantation model demonstrating the relationship between inflammatory-mediated responses and increased graft rejection. In 2009, Dr. Medina was awarded the Pearl Goldberg Research Fellowship. In this role, Dr. Medina researched the use of the keratoprosthesis, or artificial cornea, for patients unable to tolerate human donor corneas. Dr. Noriyuki Unoki, was a retinal specialist from Japan, with extensive experience in vitreous surgery. Dr. Unoki received his medical degree from Kyoto University Faculty of Medicine. Several years later, Unoki completed a PhD at Kyoto University Graduate School of Medicine, where he studied retinal vascular biology. 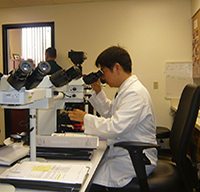 During his year spent as Pearl Goldberg Fellow, Dr. Unoki studied retinal pathology, including achromatopsia, familial exudative vitreoretinopathy, age-related macular degeneration, and epiretinal membrane, under the guidance of Dr. Sander Dubovy. Dr. Unoki returned to Japan in 2012 and continued his research, which has been published extensively.